I discovered that you can fit quite a lot into 3 days. Not enough to fit in everything I was told to try, but I gave it a damn good go. Here's a very brief round up of some food and a few non-food highlights of my jaunt. 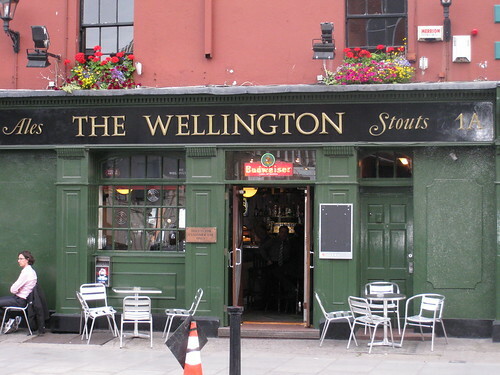 Dublin has a lot of pubs, this was just the first of many we visited. On receipt of our drinks I extended my 10 Euro note only for the proprietor to walk away. "Free drink?" I thought. When we left, I paid the man and asked him why he hadn't asked us to pay in the first instance. "You don't look like the sort who runs away" he replied. Nice to know. Puntastic! Absolutely loads of these all over Dublin. Home of very expensive drinks. Most expensive round, just under 20 Euro for 2 standard beverages. 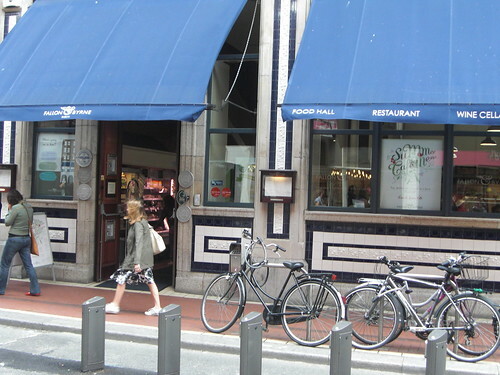 Fallon and Byrne - An excellent deli on Exchequer street. Had a pretty average coffee but their deli was brimming with lunchtime customers. 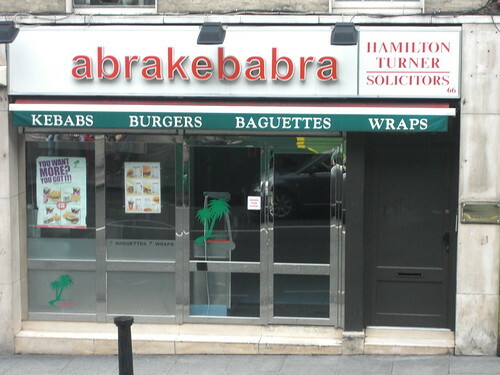 Their sandwiches looked superb. The deli itself had an array of goods from all over the world. I was probably most impressed by their bread and veg. 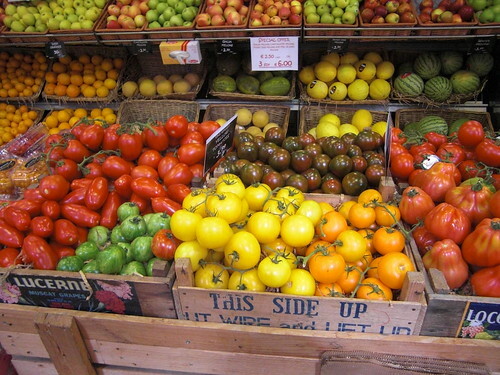 In that picture alone, there are over 10 types of tomato. I didn't even know more than 10 types even existed! 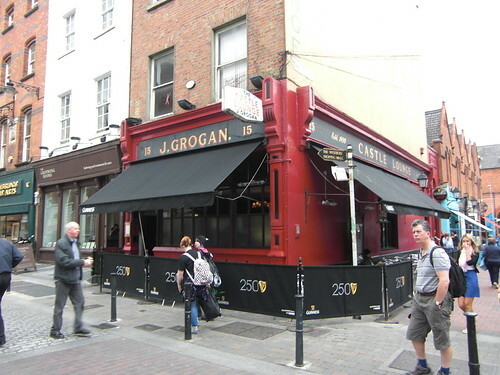 Grogans - Our final taste of Dublin. 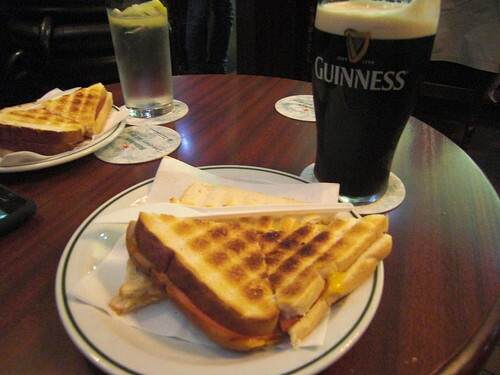 A traditional pub located just off Grafton street, it serves great food as long as what you are looking for are toasted cheese sandwiches. Simple tastes, simple pleasures. 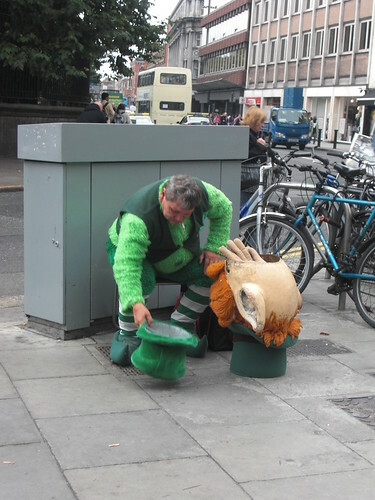 Dublin is an interesting and vibrant city. Ethnically diverse, if you look hard enough, you can find something for everyone. As I embark on my culinary voyage of discovery, I found so many hidden gems I hadn't known about on my previous visit. It's really quite amazing how food opens up your eyes. 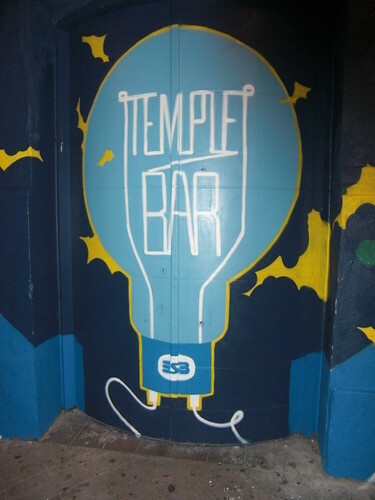 It took me to areas outside of the tourist hotbed and helped me experience more of Dublin than I could have imagined. Once the pound strengthens against the Euro, I will be back. Otherwise I may well end up like that poor chap below.